”Stuglandet” means ”the country of cabins”, and refers to the fact that there are more than 200 cabins in Sweden where you can spend a night for no cost. The cabins are always open and you can not reserve them. They are taken care of by county boards, municipalities or local societies. Sweden is the first entire country to be listed on Airbnb for its ”allemansrätt”, the freedom to roam and to spend the night in nature. You can pitch your tent basically anywhere you want. The project Stuglandet explores the slightly more comfortable way of sleeping in nature for free. You don’t need a tent nor technical clothes, you only need to bring a sleeping bag and some food to the open cabins. Many of the cabins have been unknown and the information on how to get there has been difficult to find. 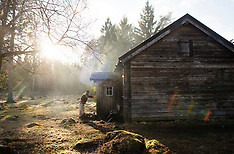 In the book Stuglandet, published in 2017, the photographer Moa Karlberg and the writer Kjell Vowles guide the readers to all the Swedish cabins, from Norrbotten in the north to Skåne in the south. They also go deeper into the history of the places and people who used to live in the cabins before, and the ones who look after them today. More detailed information on specific cabins can be published on request. During their lifetime, the majority of the world’s women give birth to at least one child. Although everybody goes through the same phases physically, the external conditions are fundamentally different. 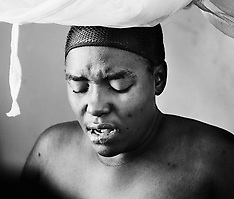 I have photographed women in labor in Sweden, which has among the world’s lowest maternal mortality rates, and Tanzania, where the risk of dying in childbirth is a hundred times higher.